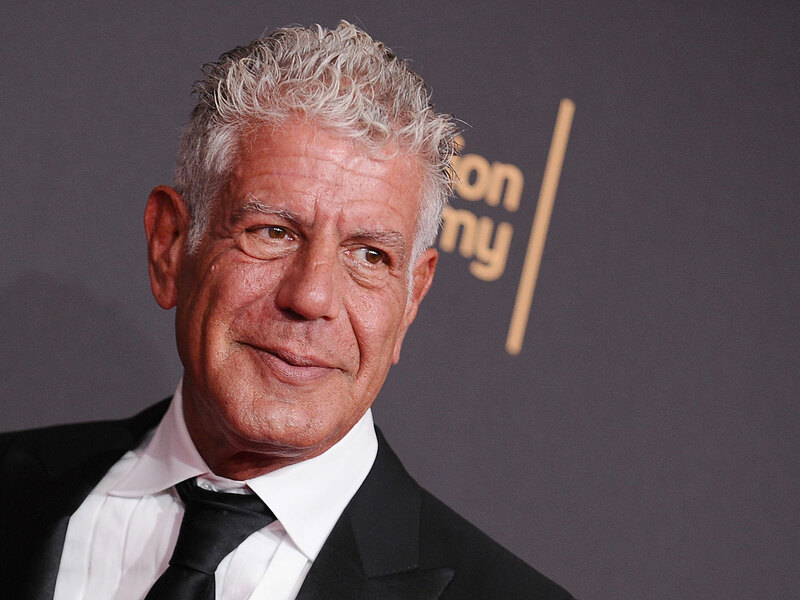 It’s been almost a year since Anthony Bourdain’s death—and ever since, the tributes to the late chef, writer, and travel host have been pouring out. CNN aired the last few episodes of Parts Unknown with introductions and memoriams from his colleagues and friends; at New York's now-shuttered Les Halles (where Bourdain was once executive chef), fans covered the storefront with photos and flowers. Now, CNN is about to release another tribute, this time in book form—Anthony Bourdain Remembered, set to debut this spring, reports Eater. While the book was initially made for Bourdain's daughter, his estate agreed to publish it on a wider scale. According to the Amazon description, Anthony Bourdain Remembered culls different "memories and anecdotes" from fans, journalists, writers, and more. Readers will find commentary from Barack Obama, who famously grabbed beer and noodles with Bourdain at Bún chả Hương Liên in Hanoi on Parts Unknown; Eric Ripert, Bourdain’s long-time friend, will also make an appearance (he appeared on several Parts Unknown episodes, including a cheese-filled episode in the French Alps and a spicy visit to Sichuan, China). Ken Burns, José Andrés, Questlove, and Jill Filipovic are also featured. The book officially releases in two months, on May 28—you can pre-order it on Amazon now. If you’re on the east coast, you can also check out New Jersey’s official Anthony Bourdain Food Trail, which is based on the season five Parts Unknown episode featuring the state. The concept was approved at the end of last month, and includes all 10 stops Bourdain made during the episode, many of which are concentrated in the Jersey Shore area. There’s Kubel’s in Barnegat Light, Donkey’s Place in Camden (which has some next-level cheesesteaks), and Frank’s Deli in Asbury Park. Bourdain grew up in Leonia, in Bergen County, so the trail is a great way for fans to learn more about Bourdain's roots.